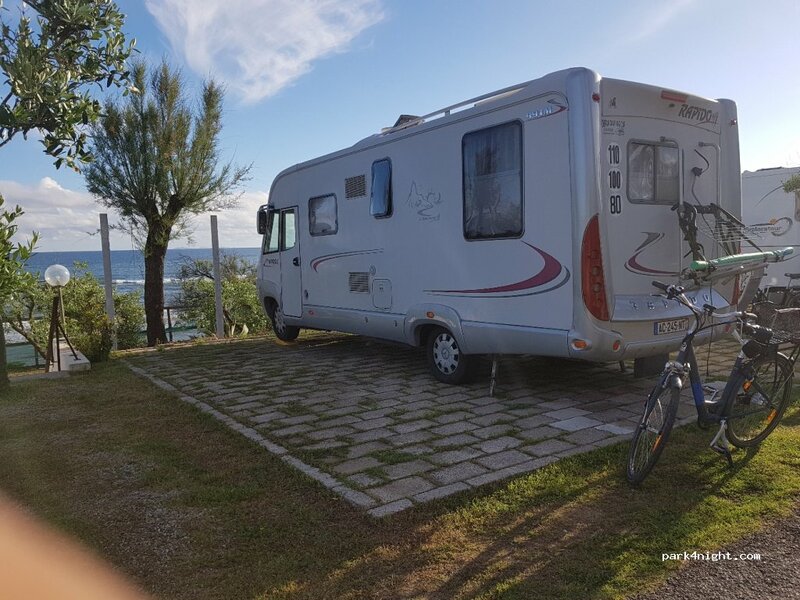 Anastasia superbe camping ou les camping-cars dominent la mer, personnel très accueillant 22 € pour 2 personnes avec électricité. Tennis, piscine, restaurant etc..
Anastasia superb camping or motorhomes dominate the sea, very welcoming staff 22 € for 2 people with electricity. 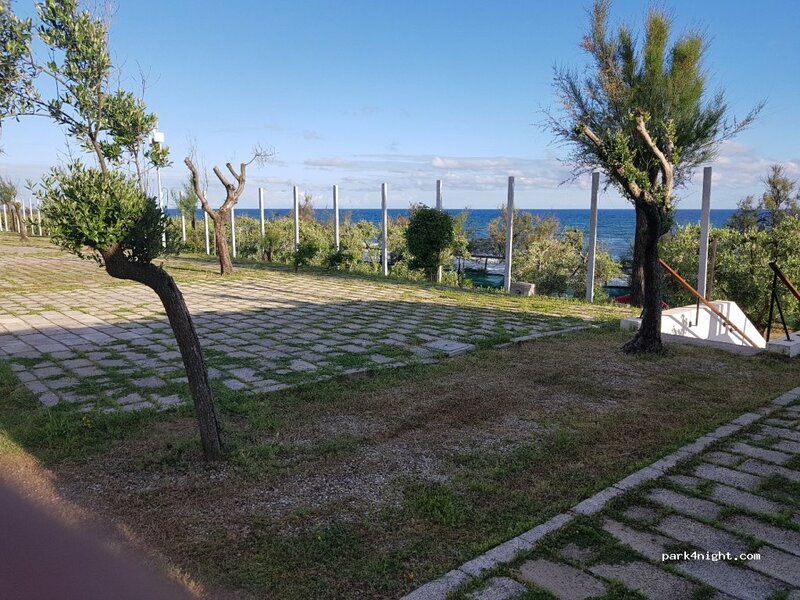 Tennis, swimming pool, restaurant etc ..
Anastasia superba campeggio o camper dominano il mare, personale molto accogliente 22 € per 2 persone con elettricità. Tennis, piscina, ristorante ecc. Nice place with a great location to the beach. However the price is incorrect. It's €27 per night plus an extra €1 tax per person per night off season. About double this at peak times (check website). Not good if on a budget. You have to pay extra for WiFi. On a plus there is a lot of showers with warm water. Nice stay however a little pricey for a quick stop. Nothing was open, and the swimming pool was closed. Probably really busy during peak seasons. Parking tolerated just for one night. free. Paid parking in high season, free the rest of the year, ideal for visiting Sperlonga.